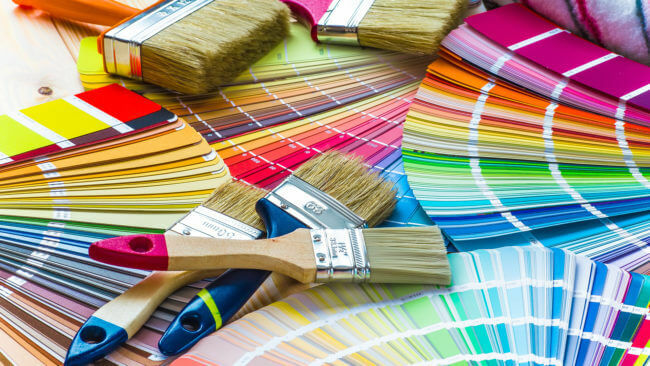 Professional, expert advice and help from your local, neighborhood paint & decorating store. We are totally focused on your satisfaction. 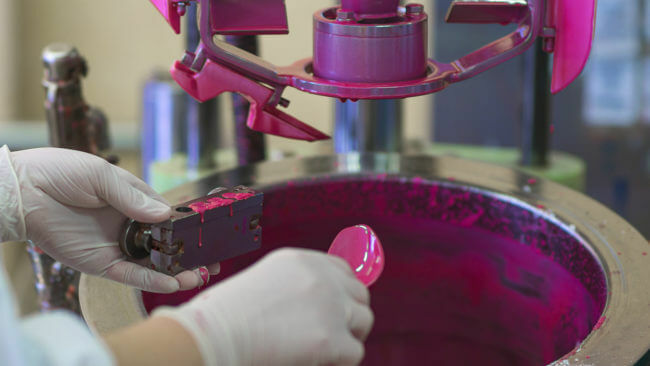 We have state-of-the-art mixing equipment to create any color paint in latex or oil in any sheen you desire. 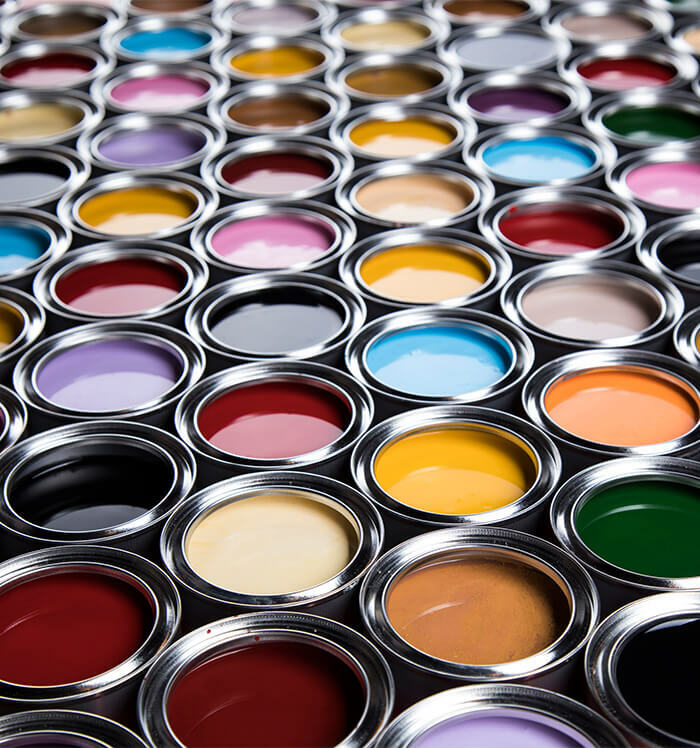 We mix paints for the following manufacturers: Benjamin Moore, INSL-X, Coronado, Corotech Industrial, Richard’s Paints, Lexington Paints Sikkens Stains (part of PPG), Old Masters Stains. 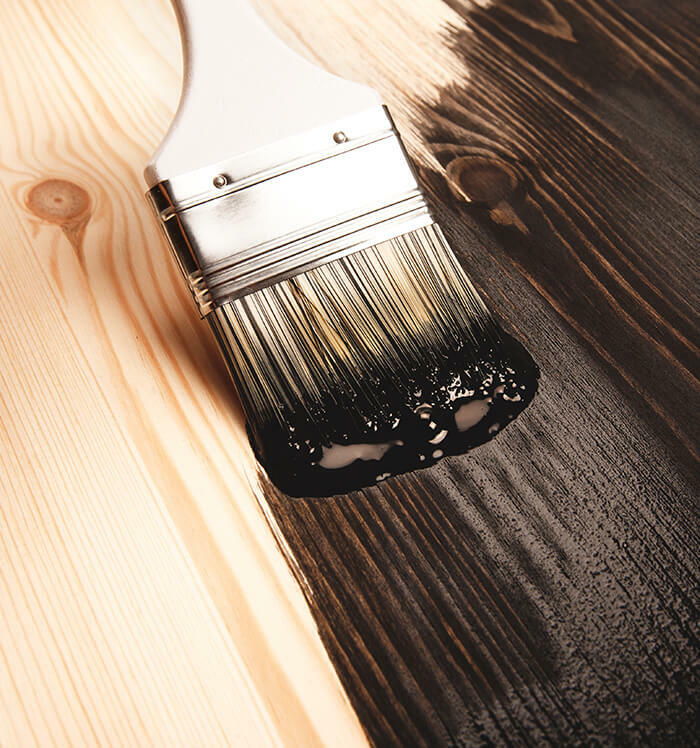 Bring us a sample from a wall, part of a cabinet or even a piece of wood… we can make a formula with our state-of-the-art iVue Color Matching camera. Then we can make you a quart or gallon in latex or oil paint in any sheen you desire. Any color from pretty much any paint manufacturer. Yes! 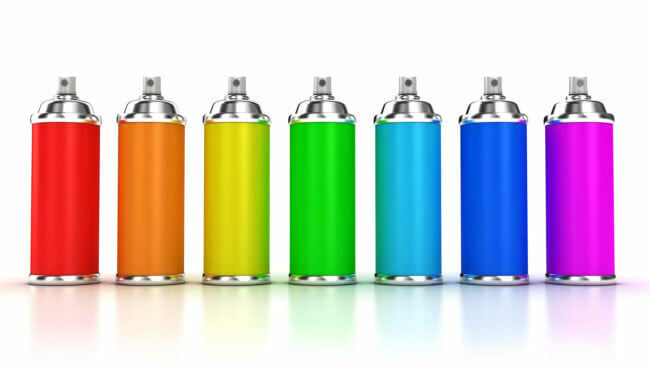 Any color, from any company or even a color match can be prepared right into a spray can, in either latex or oil-based paints, right in our store! 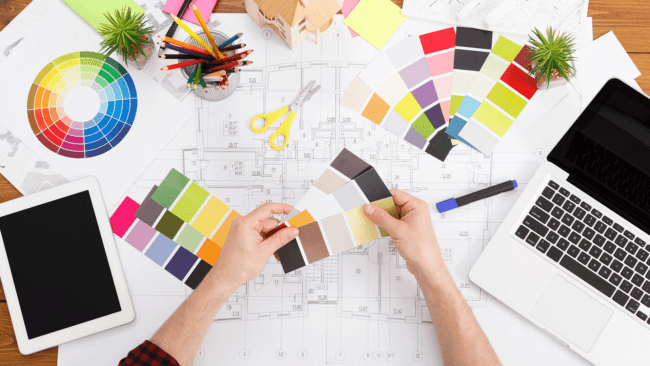 More and more designers and homeowners are using wall coverings again. 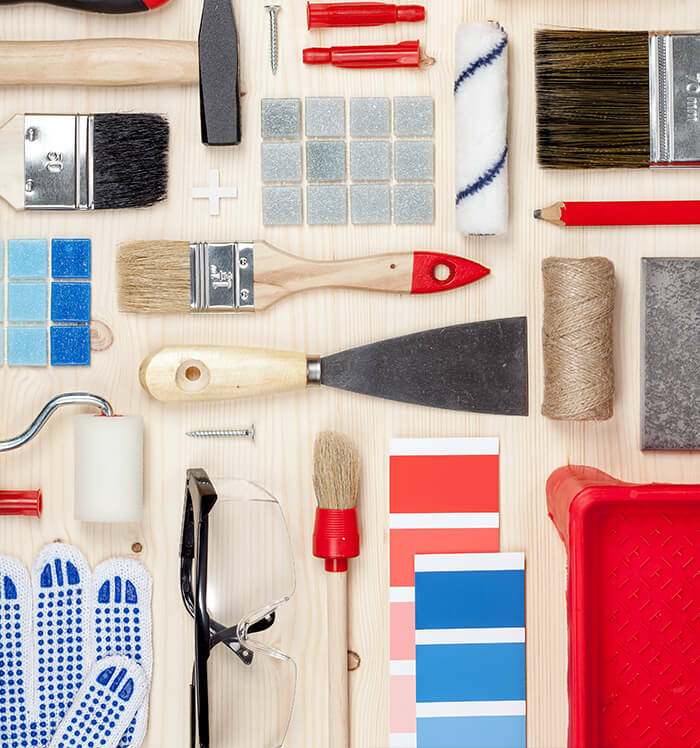 We have a full selection of well-known brands such as Thibault, Farrow & Ball, Seabrook, York, Wallquest and others. 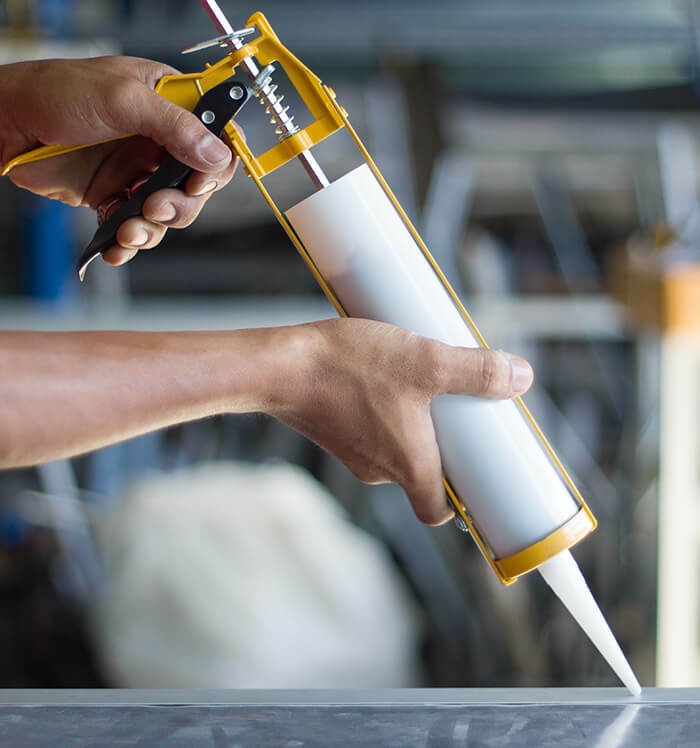 We can help you in your search, and once you find the pattern(s) you like, we can order the material and also connect you with a professional installer. Our in-house interior design company is Anne Wood Interior Design, and she is available to meet by appointment. Need help deciding on a color? We can offer advice in the store by appointment or “first come first serve” for no charge. We also can do in-home consultations by appointment for a $75 fee. 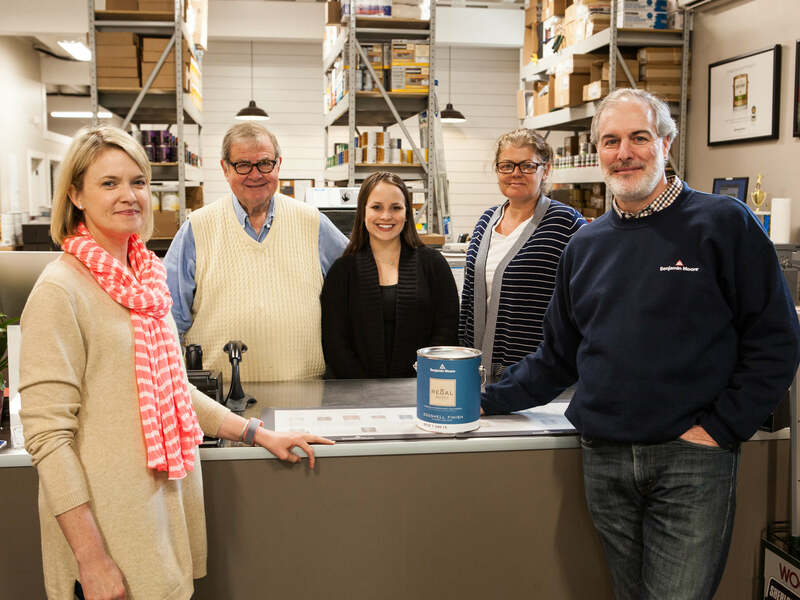 After the in-home consultation, customers receive a $35 store credit towards their paint purchase. 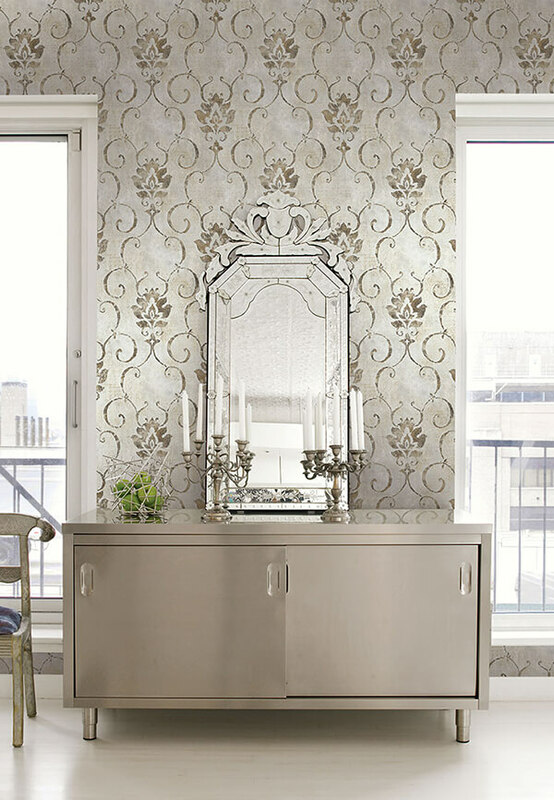 Wallpaper is the easiest way to transform any room and make a statement about your style. Our variety of collections allow you to choose a wallpaper that instantly and effortlessly transforms any space into exactly what you are looking for. 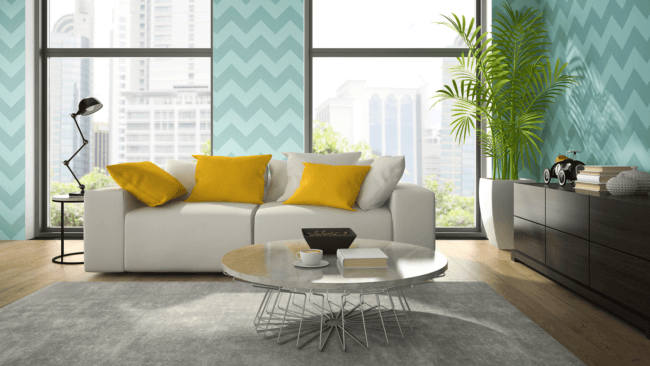 You can transform a living room from dull and outdated space to fresh, chic and modern. 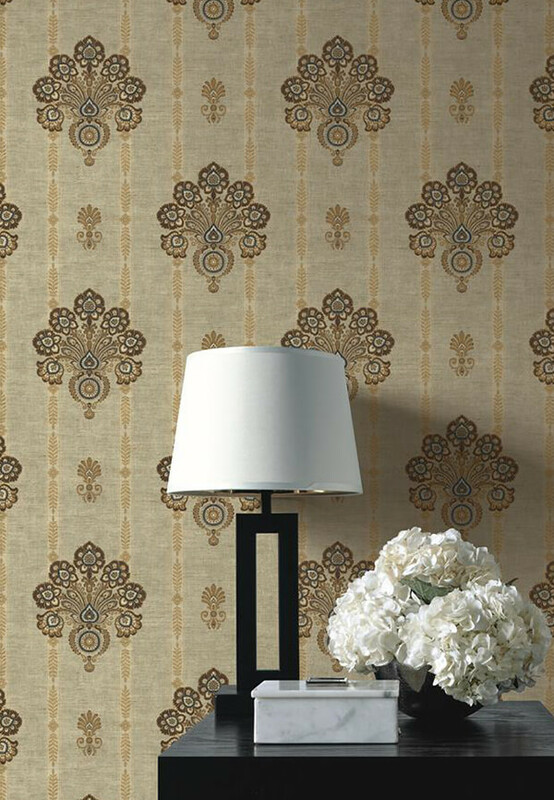 There are several different options of wallpaper to choose from: paper, vinyl, fabric & peel and stick. Paper Wallpaper is the most common and is made of recyclable paper. Then there is Vinyl Wallpaper which is easy to clean, simple to install and remove, which is ideal for kitchens and bathrooms. Fabric Wallpaper uses fibers like linen or hemp, creating an earthy vibe to your decor. Peel & Stick Wallpaper is ideal for small spaces to add texture or patterns to cabinets or bookshelves. 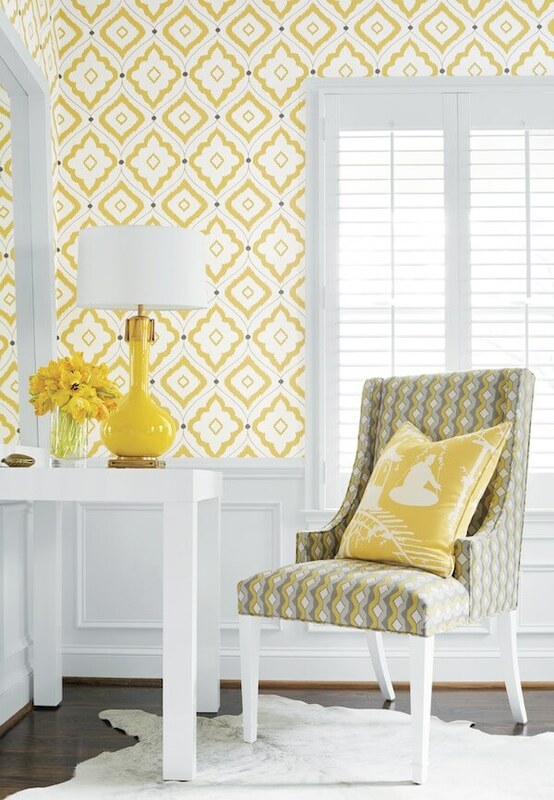 You can create the home of your dreams with our polished and playful wallpaper patterns. Thibaut, the nation’s oldest continuously operating wallpaper firm is known for its classic, high quality wallpaper. Thibaut has established a niche for traditional designs that embrace timeless styles and high quality art. The majority of collections feature Thibaut’s signature color palette, which is bright and fresh while others focus on different colors to suit varied tastes and shifting market trends with themes ranging from French Provincial and British Colonial to Oriental and American Traditional. 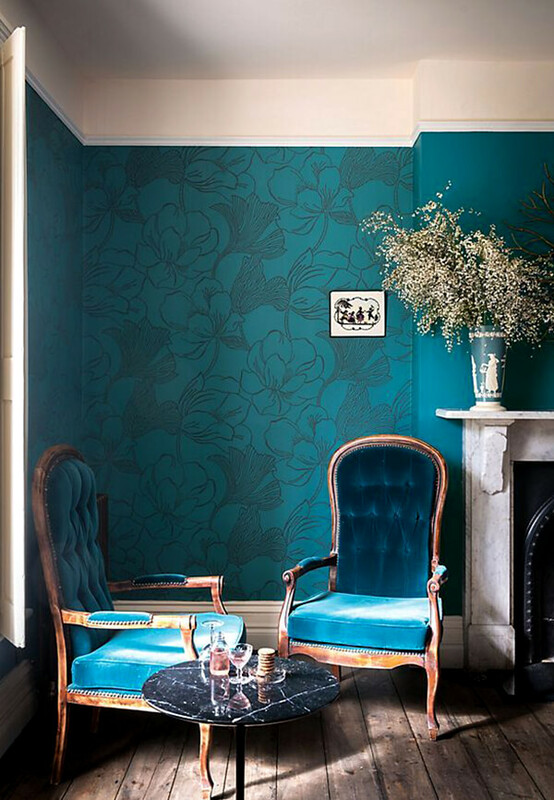 Richly historical, inherently unique, and timelessly beautiful – Farrow & Ball wallpaper stands alone. There are many reasons why Farrow & Ball wallpaper has a reputation for unmatched quality and beauty, but there are some qualities we think really stand out. Their use of paint instead of ink is at the heart of creating the luxurious texture they’re famous for. By using the age-old methods of trough and block printing, they’re contributing to a rich and treasured heritage. 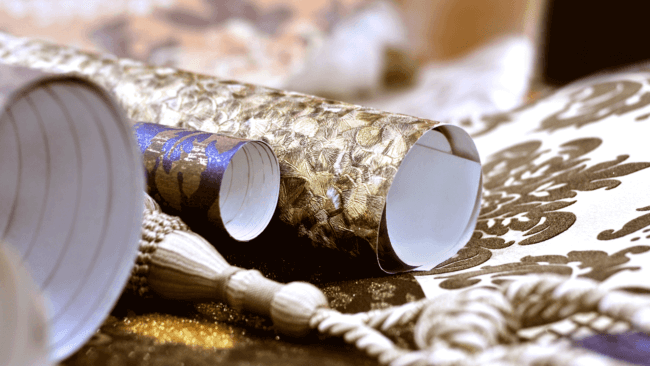 Their skilled and dedicated craftsmen ensure every roll they produce meets the unrivaled quality expected of them. 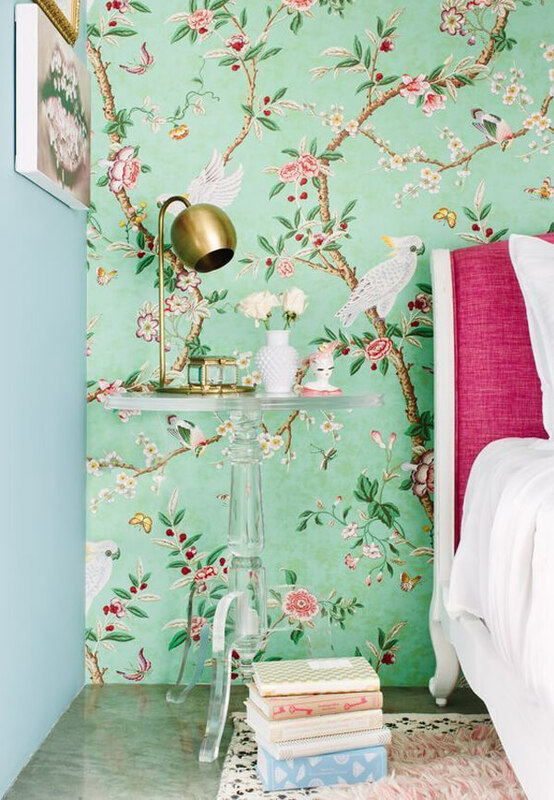 From start to finish, the creation of their wallpaper is an enchanting story. York’s passion for creating entirely special wallpapers finds expression in its offering of over 15,000 current wallpapers for both residential and commercial markets, and is known for incorporating specialty materials and effects into its designs, including: Flocked fibers. Swarovski Crystals, Embroidery, Glitter, mica, sand and recycled glass bead embellishments. Adept at uniting historical and modern aesthetics, designers find endless inspiration in the company’s inexhaustible archive of documents and designs dating to the 1700s. Seabrook represents elegance, style, grace, perfection. These are the things we want our surroundings to reflect. These are the things we want our lives to reflect. 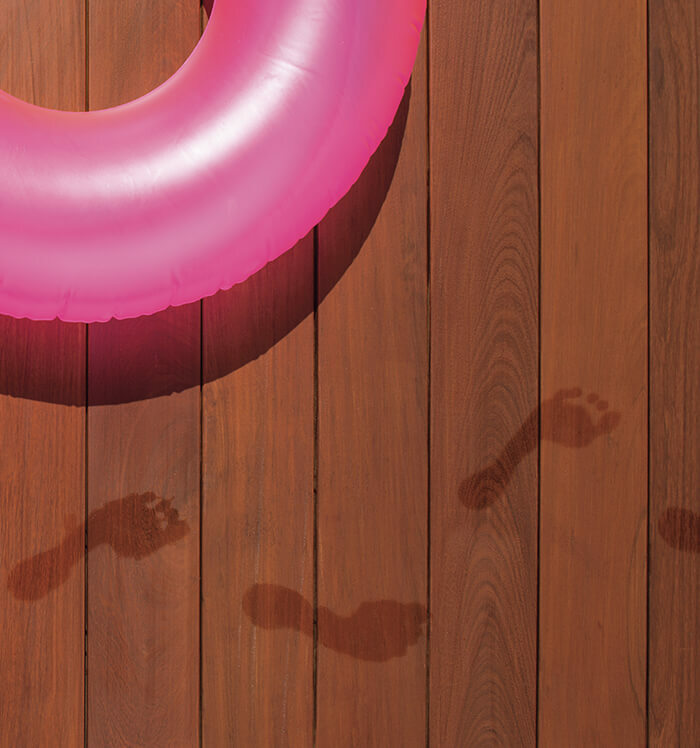 With our knowledge of interior design and consumer interests, we offer you a breadth of accessories for the home. 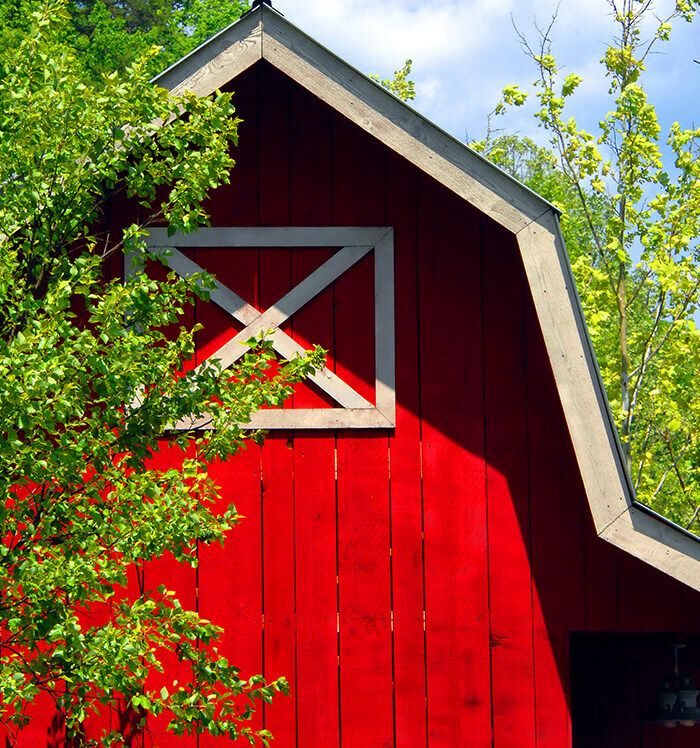 Whether your interior decorating style is country, traditional, contemporary, romantic, or ethnic, Seabrook’s wallcovering and home décor collections offer you all you need to transform your creative ideas into reality. Each Wallquest collection offers a perfect elegant and sophisticated setting found in any room. View traditional damask prints, large floral prints or geometric designs in a large variety of colors. Today Wallquest is one of the most innovative wallpaper manufacturers in the world. 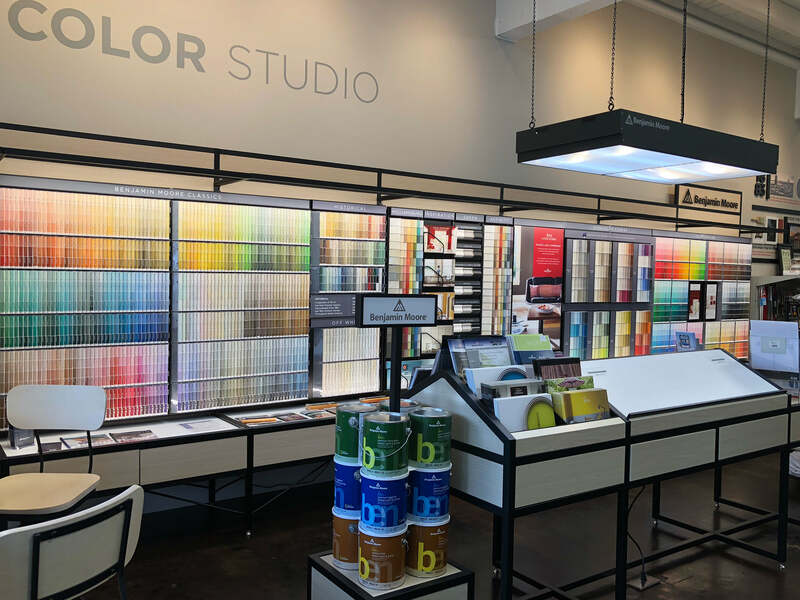 Quality, color and design, product innovation and unwavering dedication to tradition have earned the company a respected place in the global home furnishings sector. Its products are made in the United States and sold in more than sixty countries. Our families live here so we here roots in our community too. As an independent dealer, we have a lot of flexibility to represent companies and brands that we feel are top performing. Who will we see working in the store? We have developed a great team at the store, all of whom are knowledgeable and available to help you with your project. Bill Bassham has lived and worked in Aiken since the early 70s. He and his wife Lynnda enjoy the company of and keeping up with their 7 grandchildren. He’s very personable, loves to tell stories and can help you with your project. Stacey Gray is part of the team and she lives with her family in Salley. She hails from Canada and originally came to Aiken to work with horses. Stacey has a good deal of painting experience to share and is service-oriented. Anthony Goehl is new to our team and has lived in Aiken for the last 10 years. Anthony has a great deal of product experience and knowledge from his days as a professional painter. He is in the store on weekends and is very personable. Tom & Anne Uskup are the owners of the business. Anne is a lifelong resident of Aiken and she has an interior design degree from Anderson University. She works with her clients on various projects from new construction and renovations to room design and décor. Tom has resided in Aiken since 2004, and has an MBA from Roosevelt University in Chicago.